Home Boots tests Ronix and Kiteboarding; an expensive relationship? Ronix and Kiteboarding; an expensive relationship? 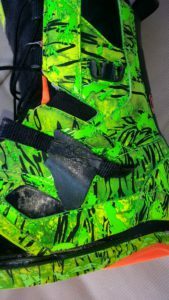 A blunt and harsh question; Is the relation between Ronix boots and kiteboarding a problematic marriage? Bound to have a quick and dirty divorce? A statement mostly driven by one fact; lose of warranty of those very comfortable and stylish, but also pricey boots in this relationship. It is a fact that kiteboarders on boots are abusing their material more than riders on straps. Particularly the boots suffer a lot. Many of them break down much, much quicker compared to straps. But the Ronix ones seem to beat other brands in the boots category. It isn’t easy to estimate how long it takes before the first issues occur. But a couple of our readers showed us that break down as quick as within 6 months is not rare. That Ronix aren’t the strongest boots out there is not really hot news. See some wording on this topic on kitesista. 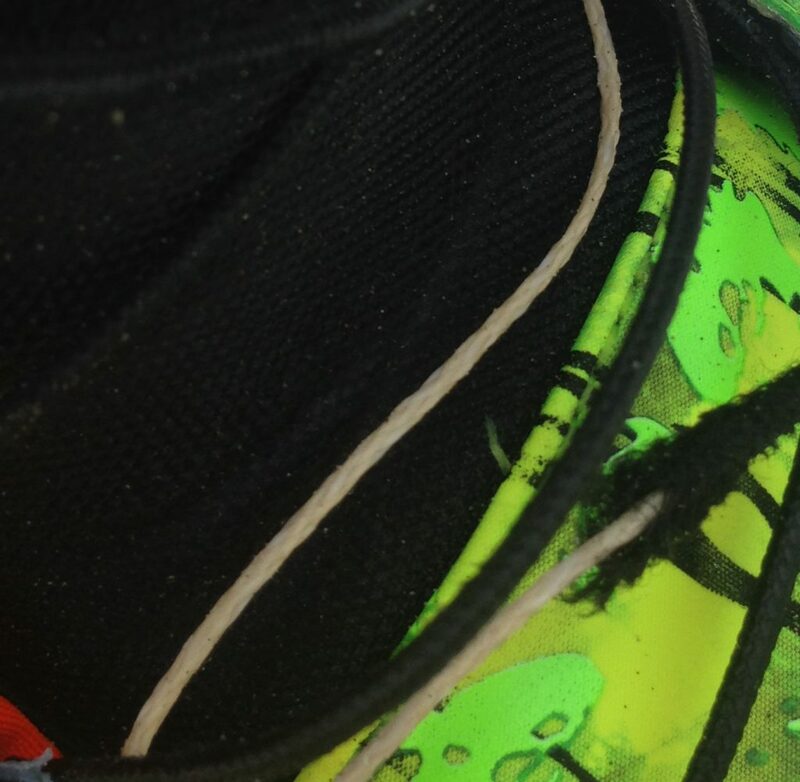 Most (first) issues are related to the laces (breakage within weeks). Followed by the connection of the laces to the boots (usually within months). When going back to a store with broken gear it usually means the distributor will judge on the warranty. No different for Ronix’s products. And without much exceptions we hear a very abrupt and short answer popping up from them when they hear you used them while kiteboarding; “no warranty”. We had several readers asking us if this is true, so we chased down a kiteboard pro’s who got sponsored by Ronix. And of course we had, or rather tried, to have a chat about the warranty issues with Ronix. An quick and honest reaction came from Marc Jacobs, a pro kiter formerly sponsored by Ronix. Wait. Did we say sponsored by Ronix, a kiteboarding pro. Really?? 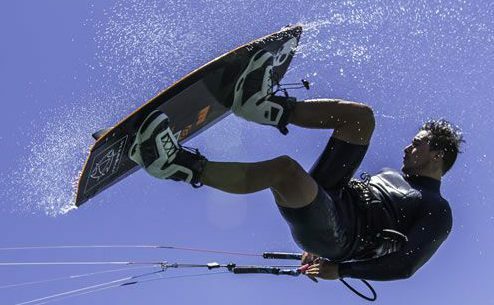 Marc explains: “Kiteboarding is s big market for Ronix boots now but they have never be interested in sponsoring kiters but I see why dealers help us out as it helps sales in there area of the rider. So we put him up with our main question about the warranty. He was quite straight in his answer “They properly stop warranty for kiters because we ride and salt water and not fresh and damage them much more”. We also contacted Ronix (USA); surprisingly (or not?) they reacted differently to a potential customer from someone seeking warranty. When we asked about warranty on their boots we got a short but clear answer; The warranty is the same if you’re kiteboarding or Wakeboarding. Completely the opposite from what we have been told before. That is why we contact several other suppliers and they contacted the distributors which contacted Ronix (again). And now the answer was more to what we expected, although the answer still has a evasive taste to it; Generally speaking our boots were designed for wakeboarding. Either behind the boot or at a cable park. There are a couple factors that come with kiteboarding that void the coverage. Most kiteboarding is done in salt water which decreases the life expectances of a boot. Also the amount of force the boot takes compared to wakeboarding can be more and therefore harder on the boot. So at the moment you either know a very handy shoemaker, lie about the use when going for a warranty claim or have the financial capability to take your -quite likely- quick loss on Ronix boots. And kiteboarding shops; please warn the users before selling?! Of course we rather see that due to this message Ronix will change its warranty policy and label some (or all) of its boots to be suited for kiteboarding. North Click bar -update after 6 months usage-: Check your safety line near the split! thanks adding your thoughts. I am not sure we 100% agree. 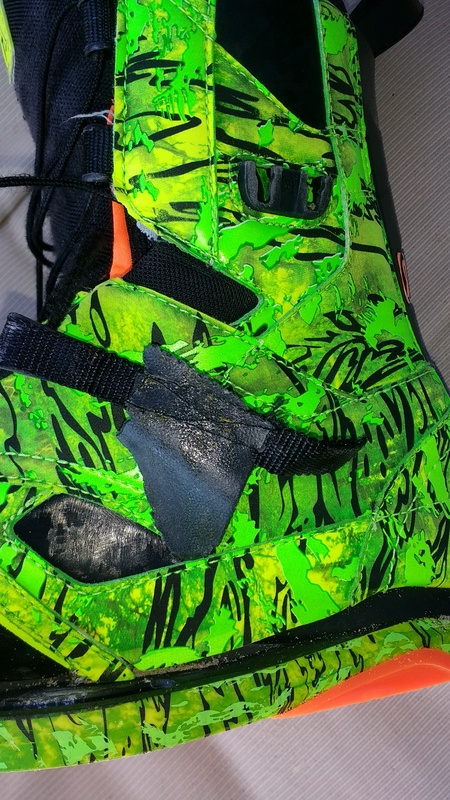 Some brands (kite)boots will significantly last longer than those from Ronix…. The wake rider are towed same speed all the time and they put on the boots with 0 pull. In the water, then slowly out and then ride. We….? We fight with the kite when we tight up boots, jump from the sand in the water, sometimes been towed on the beach to make the idiot :P.
I think that’s the point in the end… first pair of boots last longer because we are more afraid at the beginning to be attached to the board, then as soon as we get confy with it WE start to smash them.. don’t we? Same with my Ronix experience, I had two generations of the ronix one and my opinion same, super expensive pretty comfortable for few months, laces really BAD! Subscribe to receive a notification when a new review is posted on We Test Kites. Donate us to support our independent work.